Comment: I'd like the main living area painted. Dining, kitchen and living room is all open together. I'd also like a trim added where wall meets ceiling. Comment: 1500 sq ft 2 story house with log exterior siding. needs to be re-stained and we are trying to figure out a budget. 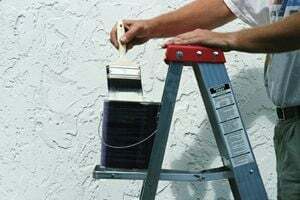 Portage des Sioux Painting Contractors are rated 4.69 out of 5 based on 186 reviews of 13 pros. Not Looking for Painting Contractors in Portage des Sioux, MO?